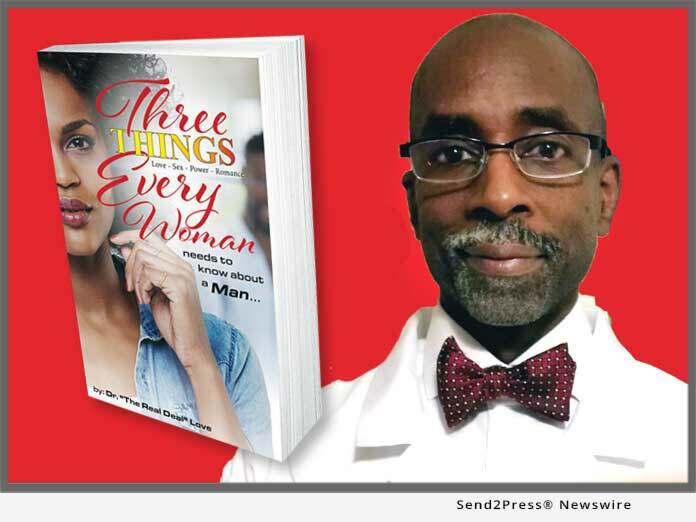 PHILADELPHIA, Pa., Feb 06, 2019 (SEND2PRESS NEWSWIRE) -- Edward Johnson aka Dr. Love - that's Dr. the Real Deal Love - founder of Love University, and author of the workbook, "3 Things Every Woman Needs to Know about a Man" (ISBN: 978-1928681526) is quickly gaining credibility in the relationship industry and rapidly becoming one of the premier authorities on dating, love and romance. What started out as a career in cosmetology nearly 40 years ago has catapulted into a career that now creates true and lasting love connections. "I opened my first hair salon in 1981," he says. "I worked with women to create a color and style that was all their own. Women would talk to me, not just about their hair, but about their lives. They'd open up to me and then wonder why they were telling me all these intimate details. It was because they were comfortable and I earned their trust." It was these invaluable conversations that set the stage for the creation of Love University. For the past eight years, Johnson has been fine-tuning the curriculum at Love University to ensure that women experience transformation. He works to build value, confidence, courage and boost self-esteem. "It's true. I've cracked the love code," Johnson says. "I'm one of the first to use technology that combines the science of love, the chemistry of passion and the power of persuasion." When women attend Love University, they're given access to what Johnson calls MAOS - Most Advanced Operating System - in love and romance. They'll learn about things like "the Velocity Factor" which touches on three key aspects of a relationship: lust, attraction and attachment. He'll show women how to build desire and transmute a behavior that they want to elicit in a man. He reveals how women need to communicate in a man's code rather than his conduct. "Through these workshops, I also hope to rescue men by empowering women," he says. "I want to help create successful love relationships and loving marriages." In addition to hands-on workshops that include a full curriculum and a sharing of one-on-one case studies, Johnson has also given lectures and seminars at schools, community organizations and church groups. He continues to seek new outlets. "My years of research and experience have uncovered that men have a code that women have to access," he says. "I want to share this message."